My name is Sue Morgan, I am 43 years old. I have two grandchildren and a granddaughter. When I first started this Quilt I was doing it for all my brothers and sisters who lived in anonymity with the virus for whatever reason. As I continued sewing, different reasons evolved – memories of this and that. 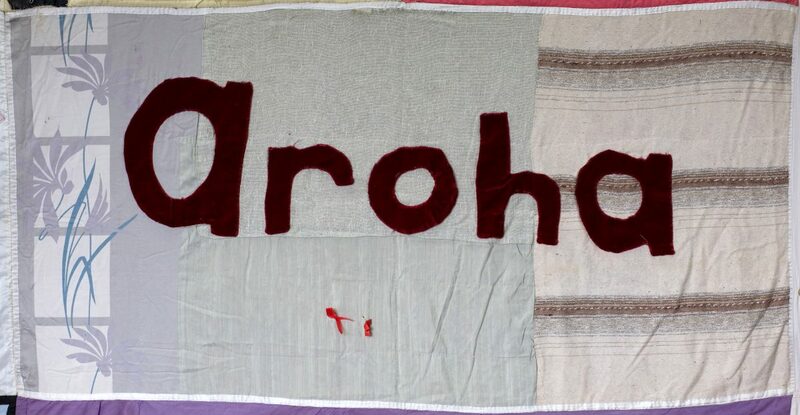 I told a friend that I was appliqueing AROHA on the Quilt, and he said that Aroha is the very best word in the world because it means ‘LOVE’. That then became my final reason. So for my brothers and sisters living with, and dying of AIDS, arohanui.